Welcome to the First Carnival of Trust. I’ve been very gratified by the quality of the posts I had to choose from. 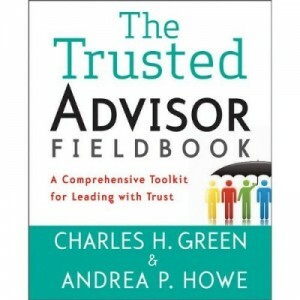 It’s not easy to pick just ten, but that’s what we promise you—the ten most interesting, provocative, thoughtful blog postings within four broad categories of the subject of trust: Advertising and Influencing, Sales & Marketing, Leadership & Management, and Strategy, Economics & Policy. Of course, interesting/provocative/thoughtful are subjective categories—but that’s the fun of it too. You can discern my angles and add your own pinches of salt. I’ll be hosting the first few carnivals (first Mondays of the month) as a shakedown cruise; thereafter the Carnival of Trust will be hosted by some great bloggers with their own tastes and points of view. We (including Trust Matters) often speak of trust as a noble form of connection, finding common ground between otherwise-different people. But what about trust as simply favoring those who are most like us? What’s the difference between trust and racism? Thoughtful analysis, as always, from David Maister at Passion, People and Principles. 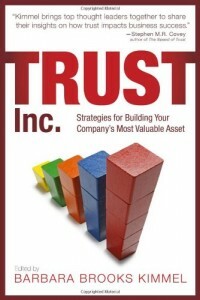 The paradox of trust is never more evident than in sales. The best way to sell is to stop trying to sell. Natalie Ferguson at Simple and Loveable explains how it works in The Anti-Sales-Pitch. Confidentiality? Competitive intelligence? Need-to-know? When it comes to important information, what’s the right default stance: treat information as secret, or make it easily available? Carmine Coyote at Slow Leadership explores the cost of excessive secrecy. Speaking of Jonathan Schwartz, how many CEOs write their own speeches? Draft their own articles? Write their own ad copy? Not too many. So are blogs any different? Luis Suarez at ELUSA explores the question. The I/B/E/S database tracks stock analysts’ recommendations. Researchers tracked the period 1993 – 2002—twice; once in 2002, and once—with corrected data—in 2004. By 2004, about 15% of the data had been “corrected” by securities firms. Wanna guess if there were any patterns to the ex post facto corrections by Wall Street? Mike DeWitt at BusinessPundit is shocked—shocked! Some writers have suggested that business school cheating scandals highlight the dark side of collaboration—that it’s hard to distinguish from cheating. Rob, at BusinessPundit, is having none of it. Decide for yourself. Speaking of Tylenol—what happens when you do everything you can possibly imagine to prepare for a difficult situation—and life still throws you a curveball, and you get skunked again. Michelle Golden at Golden Practices explains why the folks at Intuit must have been going to school on J&J’s response. If you think your client is a jerk...you may have it backwards.